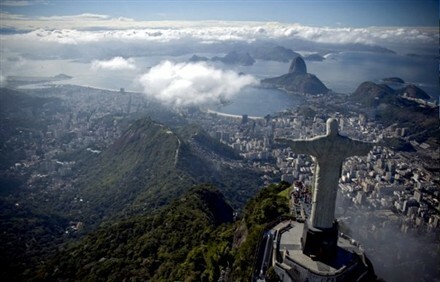 Brazil is currently the most popular country in the world of overseas property in terms of interest, according to a real estate investment consultancy. The London based overseas property investment consultancy Colordarcy says it is receiving in excess of 300 enquiries per week, but unfortunately only 30% of the leads qualify because of difficulties in obtaining finance. ‘We get close to 300 enquiries for property in Brazil each week, but we have to turn 70% away because the lack of finance in Brazil at this stage,' said Loxley McKenzie, managing director of the firm. ‘However, we urge investors to buy now if they have the capital, because we expect prices to rise by at least 20% upon mortgages re-entering the market,' he added. 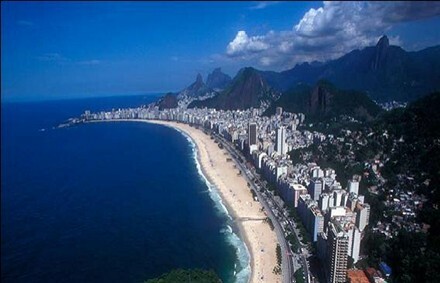 Brazilian property is currently popular mostly because of the fact that several Brazilian developers have begun making affordable housing developments in Brazilian cities available on western markets. McKenzie points out that there is a supply shortfall of over seven million in the Brazilian housing market and that means millions of families in a position to buy a house rather than the number of houses for sale. The shortage is most severe in terms of quality affordable housing, as much of the affordable stock is in a bad state of repair. ‘If an estate agent had served as the Brazilian President for the last eight years he couldn't have laid better foundations for the Brazilian housing market than president Luiz Inácio Lula da Silva did in his two terms,' said McKenzie. The Brazil constitution sets out that the maximum a President can serve is two terms, but the Brazilian people recently elected da Silva's chosen successor, Dilma Rousseff, who is expected to keep going on the same path as da Silva. ‘One of his most successful housing projects is the Minha Casa Minha Vida project, which provides financial incentives and assistance to low income families in order that they can afford to buy a house,' explained McKenzie. ‘But the biggest help was his decisive and excellent economic management. The way Brazil's powerful growth has been reinvested and managed to provide the maximum number of jobs has led to some 20 million people coming out of poverty. And the number of Brazilians classified as middle class increased by 29 million during the period. This massive growth in affluence is why there is so much demand for housing,' McKenzie added.